The Greater Ibex, Superior organism proves the term “modern” to be more primitive. The subspecies of the Iberian mountain goat Capra pyrenaica pyrenaica became extinct in the year 2000 before its biological and phytogenetic characteristics could be explored in depth. A new study has shed light on their size, origin and post-Ice environmental conditions after discovering three skull fossils from between 4,000 and 7,000 years ago in the southwest of the Pyrenees. that lived in the Iberian Peninsula until it became extinct from the Pyrenees in the year 2000. … as explained by García-González. which served to dissuade competitors and reduce the number of fights in an age when species were finding new opportunities and more food around the edges of glaciers. the high altitude at which the remains were found is unusual. The explanation lies in the fact that some 7,000 years ago the ice had begun to melt in Millaris (Ordesa National Park in the Pyrenees) at an altitude of 2,500 metres, where the remains of the last Pyrenees glaciers are still present.
. . . the analysis of this wild Pyrenees goat’s fossil skull falls in line with the molecular genetics studies and suggests an even greater similarity with the Alpine Ibex (Capra ibex). 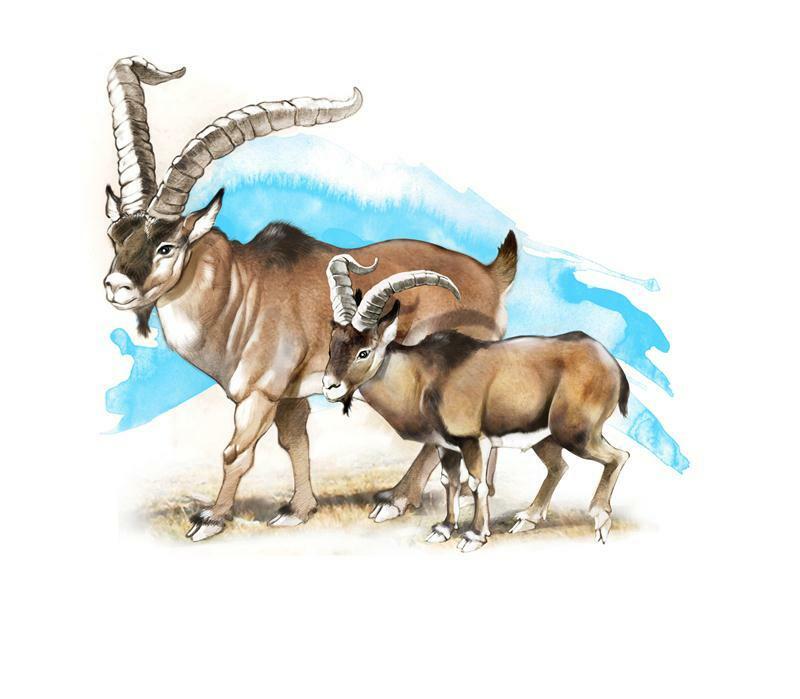 GAWM: The giant Ibex has been one of the missing fossil evidences for devolution. No longer is this the case. At one time I had a small list of animals that were not found, like the platypus, the rabbit, some snake species, and the Ibex. All of these animals have been found, showing every species is an example for devolution. When i first started this quest to find all the world’s giants for every species, i expected to find 8-12 species. Now with over 300 cataloged from whales to single celled organisms, each day the devolution process shows itself to be the only form of change, greater ancestry the only history, and this research the greater-science.